This 2011 project constructed a new outlet for a large flow-through wetland just upstream of Upper Twin Lake. This wetland has been found to be a significant source of nutrients to Upper Twin Lake. This project constructed a new weir, or sheet piling wall, across the wetland to keep water in, and added a new overflow outlet and channel to the side of the wetland so high flows can drain out. Keeping the wetland wetter slows soil mineralization and limits phosphorus release. 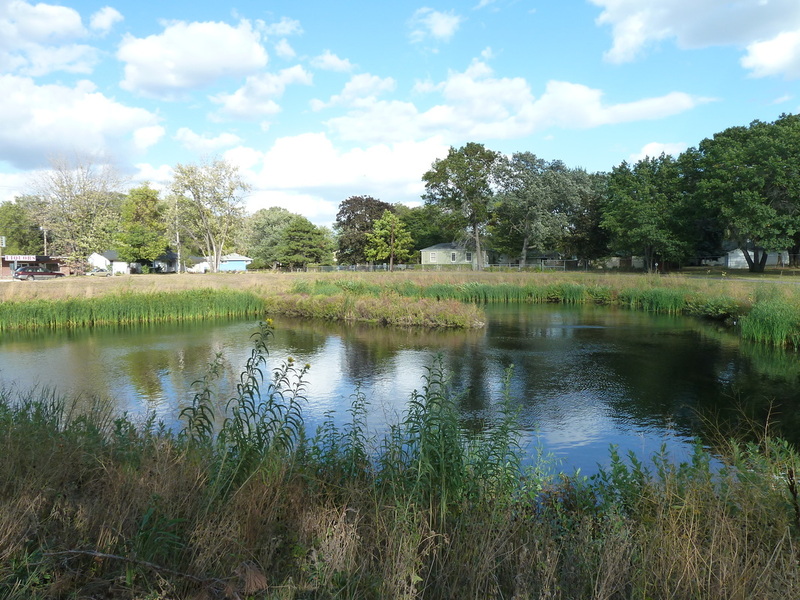 This 2010 project constructed a regional storm water pond in Twin Oak Park in the City of Crystal to treat runoff from a 500+ acre drainage area. A 66" trunk storm sewer in Bass Lake Road collects runoff from a wide area of Crystal and Hew Hope, and conveys it Upper Twin Lake in Crystal. A manhole on that storm sewer was modified to divert the “first flush” of stormwater into the new Twin Oak Pond for detention and treatment. 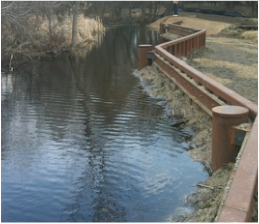 In 2005-2006 the City of Brooklyn Park completed Phase I of a restoration project on Shingle Creek in Brooklyn Park, reconstructing about 2,300 feet of stream from the Hampshire Avenue N footbridge to Brooklyn Boulevard. Phase 2 of this project, which is upstream from Phase 1, was completed in 2010. This segment of the Creek flows through residential backyards, and was in better condition than the downstream segment. 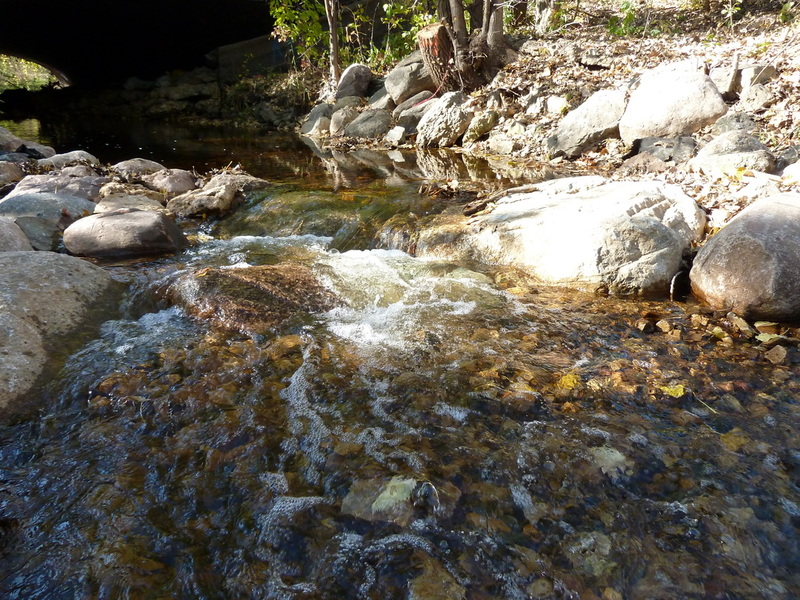 The project included improvements both on the streambanks and in the channel of the stream itself. Trees that were at risk of falling into the creek were removed, and the banks regraded and planted with native vegetation. Live stakes of willows and other species of woody shrubs were planted low on the banks to strengthen and stabilize them. A boulder toe was added to segments of the streambank to protect it from erosive forces. Three rock cross vanes and two j-vanes were added to provide stream reaeration and to redirect streamflow into the middle of the channel.